Montane, subalpine. Streamsides, meadows. Summer. Above: Colorado Trail above Hillside Drive, August 7, 2015. Left: Upper Calico Trail, July 13, 2004. 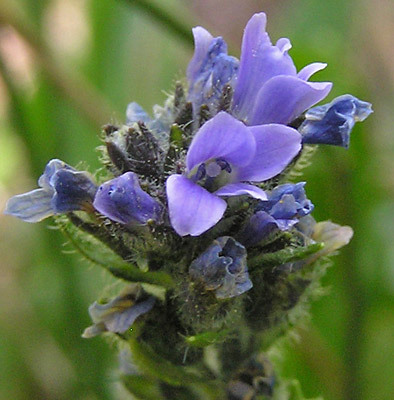 Veronica wormskjoldii has a wide range of blooming times and habitats and shapes and sizes. It blooms from June into September, from high meadows to alpine tundra. It is sometimes quite slender and only a few inches tall but can grow to 14 inches. It always has tiny, dainty flowers easily overlooked. This Veronica is inconspicuous but very common along trails. 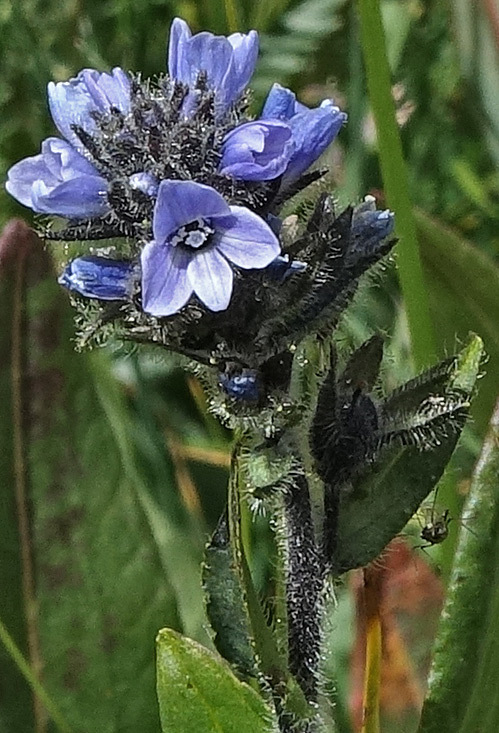 As a comparison of the photographs at left and above make evident, what appears to be a drab plant of ordinary green leaves and bits of blue flowers, turns out to be a complex and lovely plant. Using a 10x hand lens in the field allows you to see this beauty. Linnaeus named this genus in 1753. 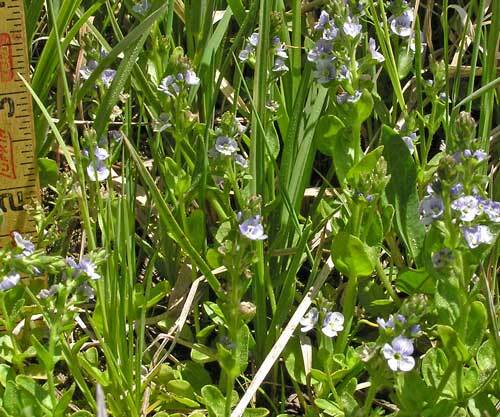 Intermountain Flora indicates , "Name of doubtful origin, possibly in honor of St. Veronica". Morton Wormskjold was a 19th century Danish botanist. (Click to read more about Wormskjold.) The synonym, "nutans", is Latin for "nodding". Upper Calico Trail, July 13, 2004 and Wolf Creek Pass, July 24, 2011. 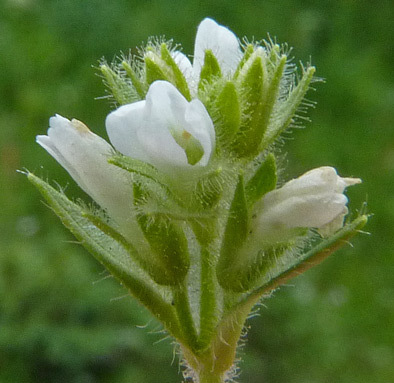 Veronica wormskjoldii is a very hairy plant. Albinos are quite uncommon. Montane, subalpine. 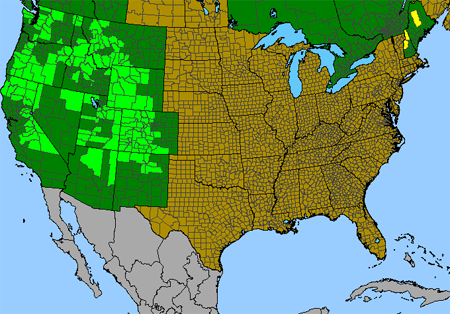 Streamsides, wet meadows. Summer. Lizard Head Meadow, June 23, 2006. This lovely miniature enjoys having wet roots, so you will find it in wet meadows a few weeks after snows are gone, along mountain seeps, and next to streams. 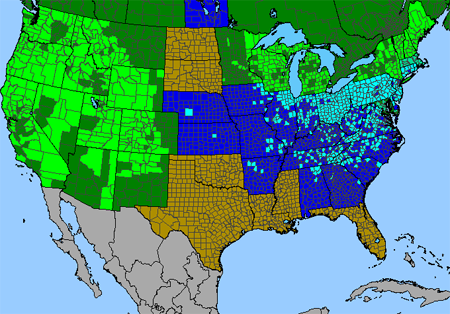 As soon as you move a few feet back from these areas to drier ground, you will no longer find the plant. Lower stems are weak and recline along the ground, rooting in at leaf nodes and making a small carpet of leaves. From these arise flower stems said to be from three to twelve inches tall, but I have never seen them over five inches tall. Veronica serpyllifolia has numerous, attractive flowers, but the plant is difficult to find because it grows in a lush environment surrounded and surmounted by grasses and numerous other herbaceous plants. From the height of a human, Veronica serpyllifolia might be mistaken for Astragalus alpina, for the color and general montane habitat are similar, but a closer hands and knees inspection will show the two plants to be quite different. 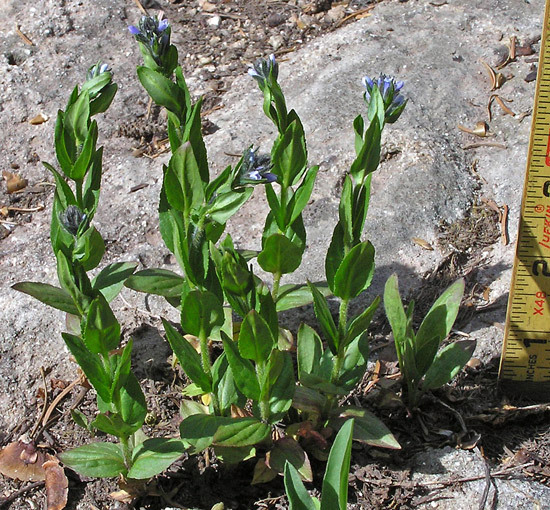 Veronica serpyllifolia is widespread through the Western and Eastern United States. Linnaeus named this plant Veronica serpyllifolia in 1753, it underwent several name changes in the 18th and 19th centuries, and William Weber renamed it Veronicastrum serpyllifolium at the end of the 20th century. 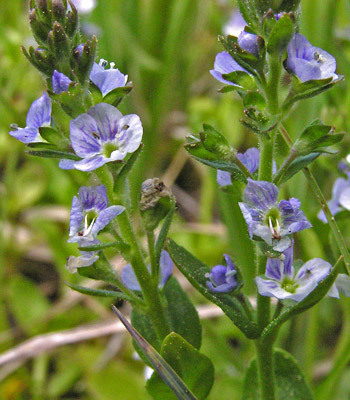 Most botanists accept the name, Veronica serpyllifolia. "Veronicastrum" means "little Veronica" and "serpyllifolium" is Latin for "creeping [i.e., "serpentine"] leaves".